Install the official app “CITIZEN Bluetooth Watch” to enjoy smartphone-based functions such as call and message notification, in addition to other functions that will enable you to get more out of your watch in a simple, intuitive way. Real hands on a real dial to create a sense of depth; an appearance that varies subtly with every change of viewing angle—Analogue watches have a character beyond anything liquid crystal can achieve. We asked ourselves a question. 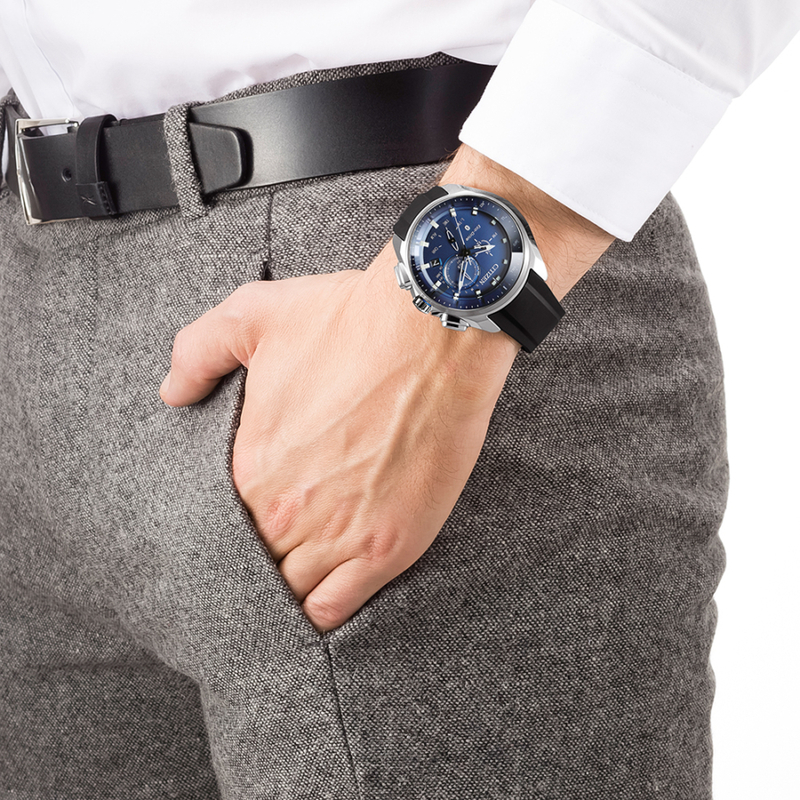 Can the elegance of an analogue watch be combined with smartphone-linked functionality? 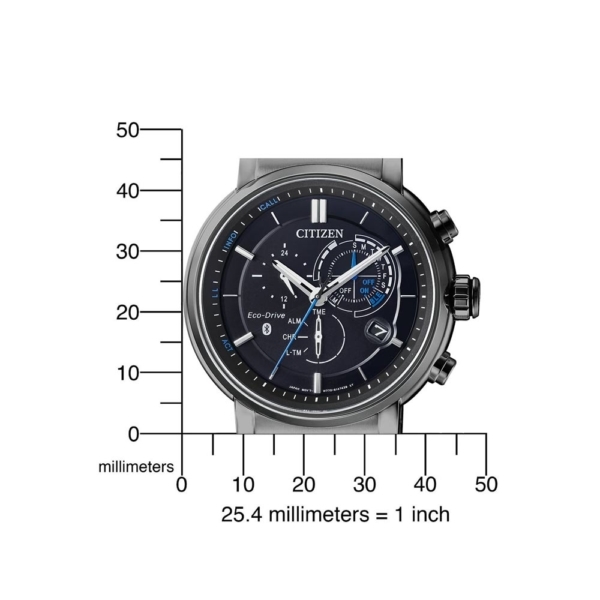 CITIZEN is a true watchmaker. We seek to express the essential nature of the watch through quality materials that feel good on the wrist, through timeless design, and through the detailed craftsmanship of a manufacture d’horlogerie. 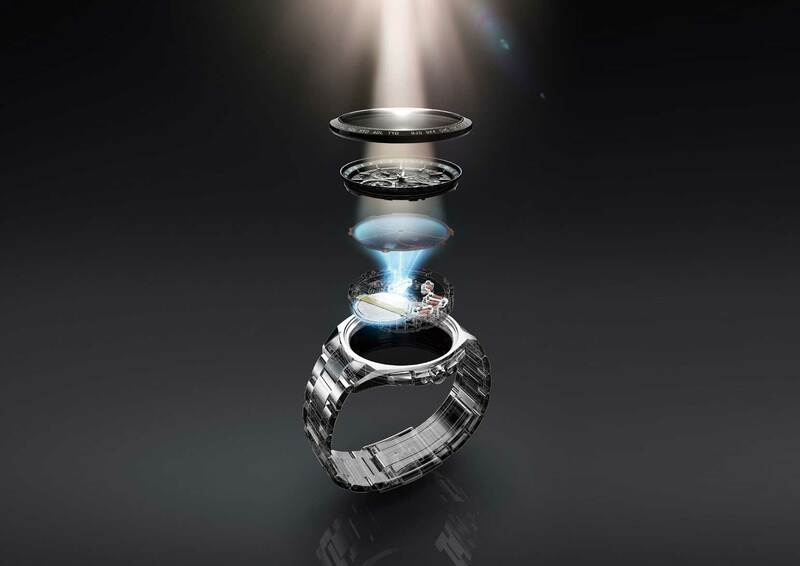 And here is our answer: The next level of watch. A futuristic form based on subtle curves. A beautiful dial: black, sleek, yet translucent. A blue second hand that marks time’ s passing. A band that f i ts snugly on the wrist. 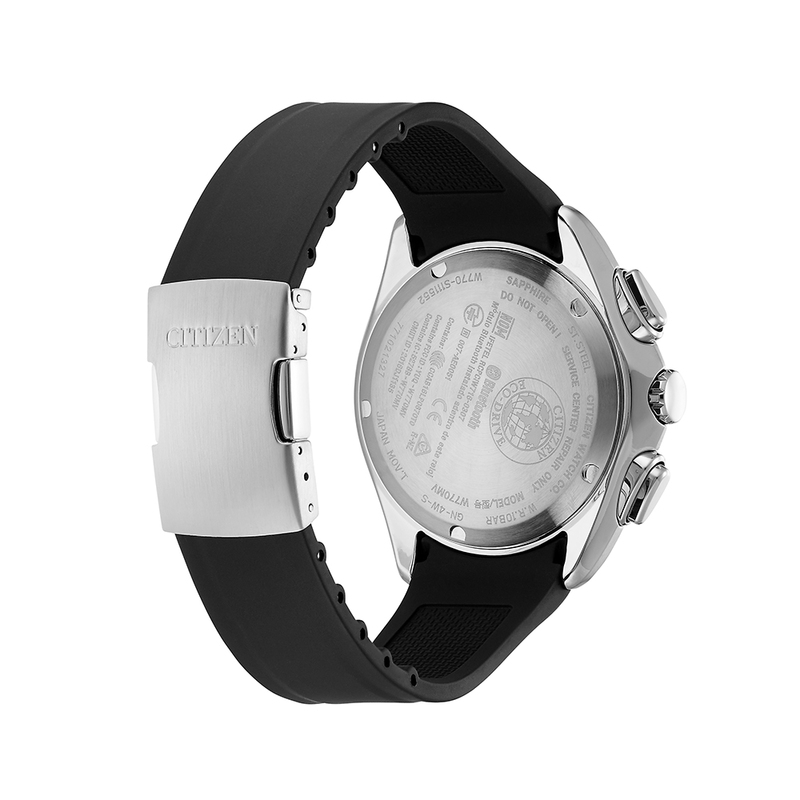 CITIZEN Bluetooth watches charge themselves with every kind of light. This means that no battery replacement is necessary. 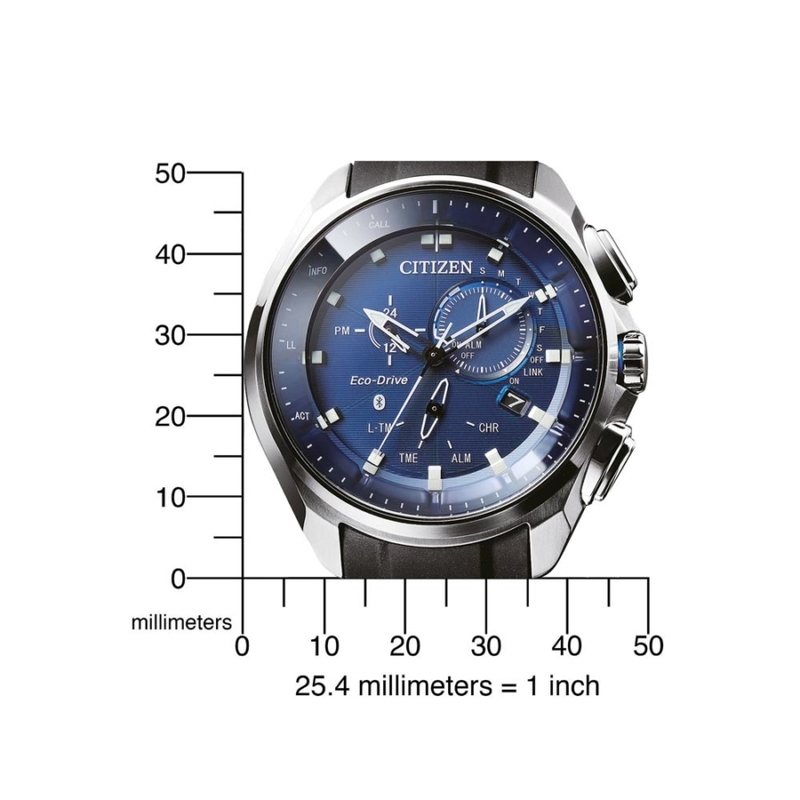 Citizen’s patented Eco-Drive light-powered technology, Eco-Drive, generates power from any type of light – from sunlight to subdued light – to drive the watch and store the excess in a rechargeable cell. 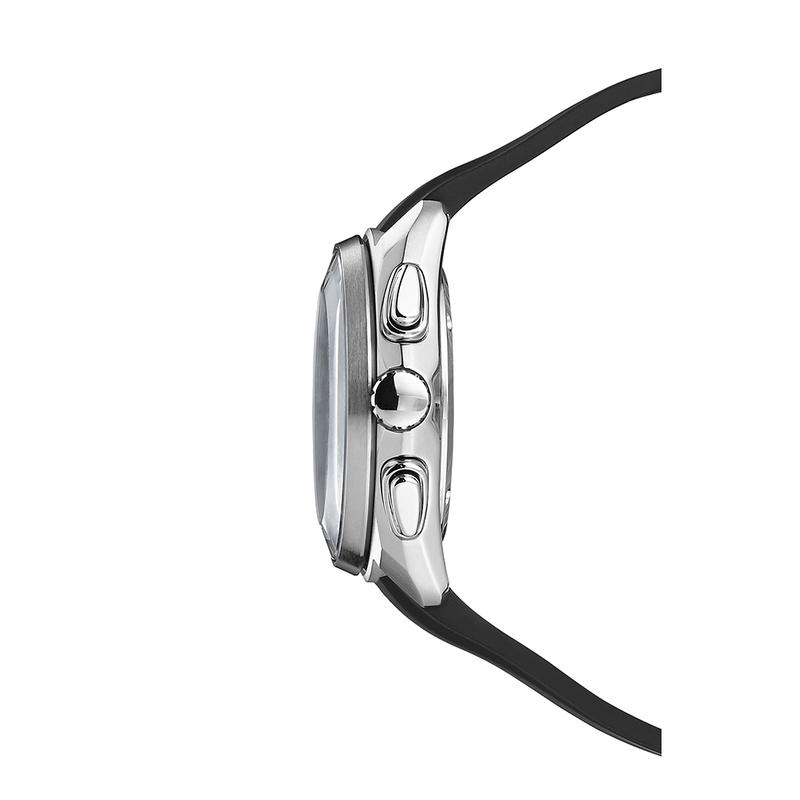 Once fully charged, the watch can continue to run for up to 6 months in the dark. Find out when you get a mail, text or SNS notification. 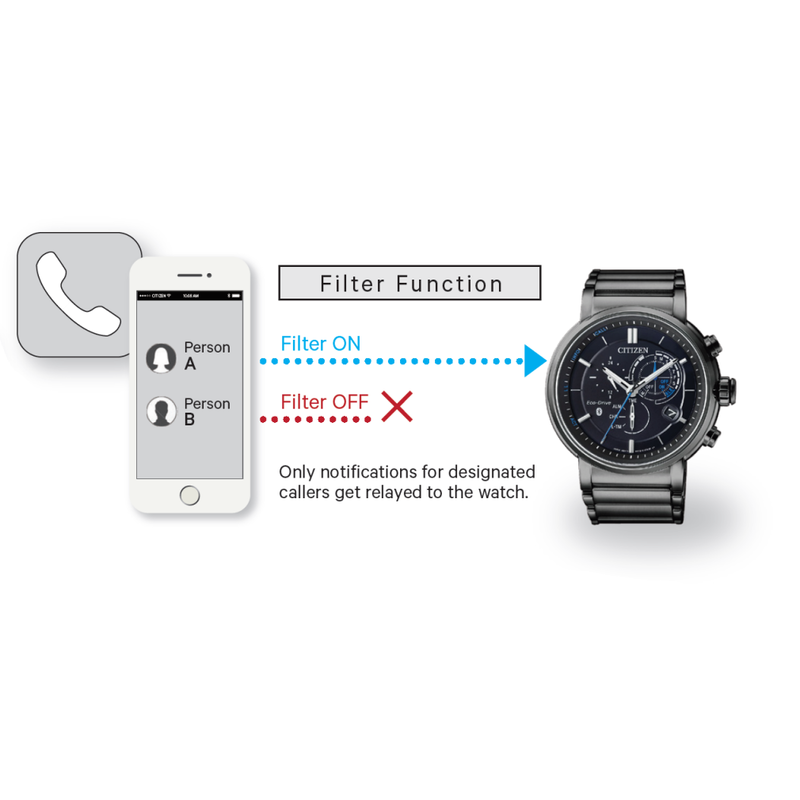 The watch emits a sound, vibrates or rotates the hands to let you know when a new e-mail or Social Networking Service　(SNS) notification has arrived. Select the apps from which you wish to receive notifications. Now you’re never out of touch. 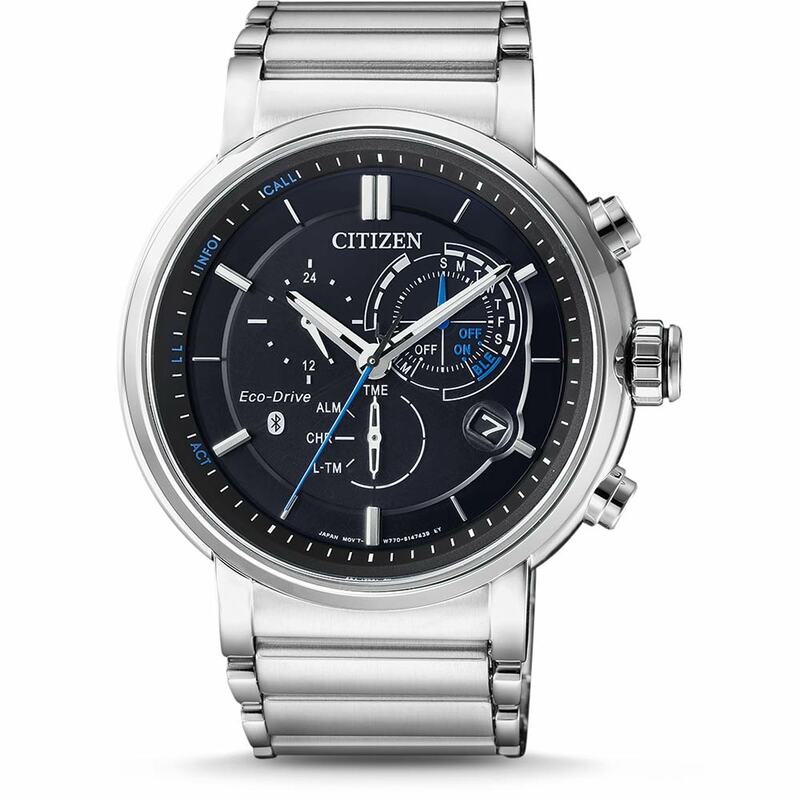 *You can check which SNS apps are compatible from inside the official CITIZEN Bluetooth Watch app..
Home and Local Time Get the time in any city in the world. Via the link with your smartphone, your watch will automatically set itself to the time of the place where you are (“home time”). Meanwhile, inside the app, just tap a place on the world map or input a city name to set the watch to the time there (“local time”). 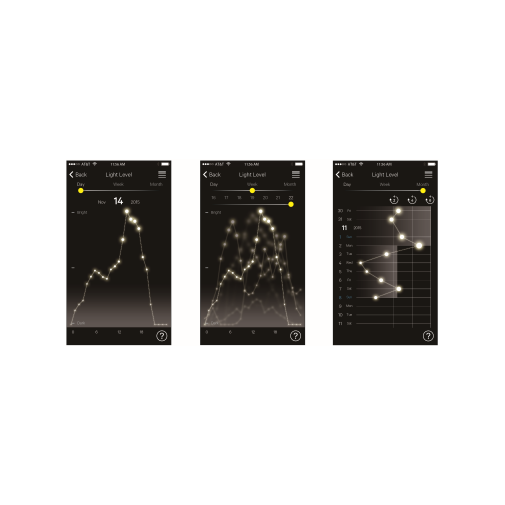 The app covers 316 cities worldwide, including Coordinated Universal Time (UTC). Alarm Set your alarm from your smartphone. You can set your watch alarm simply and intuitively from inside the app. The alarm can be set for a different time every day of the week. Call Notification Find out when you get a call. 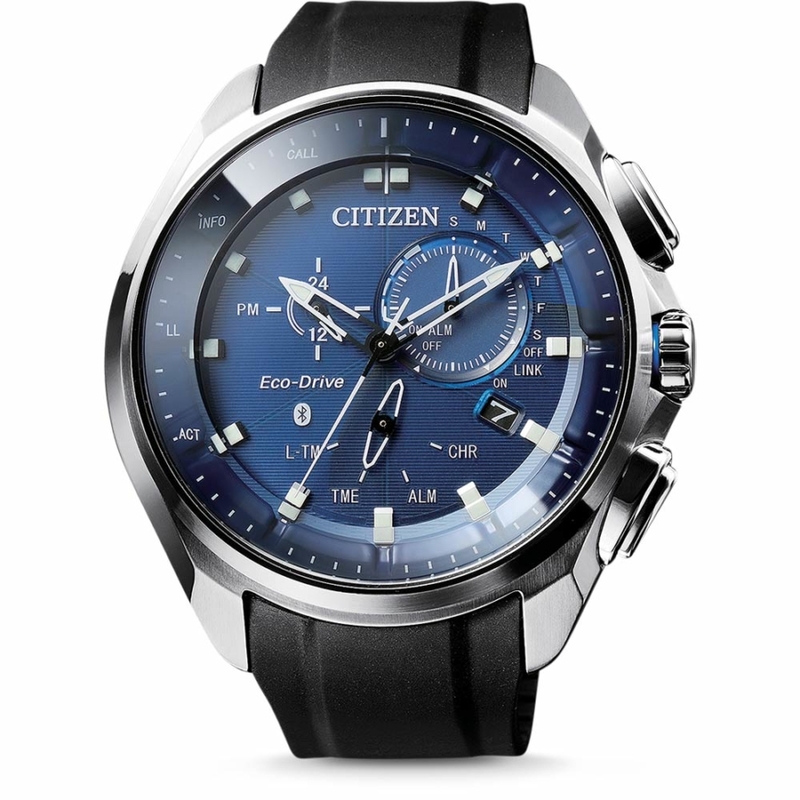 The watch emits a sound, vibrates or rotates the hands to let you know when someone is calling. A filter function enables you to specify which callers will trigger alerts. You will never miss a call from that special someone ever again! Smartphone Search Find your smartphone easily. Mislaid your smartphone? That’s not a problem. 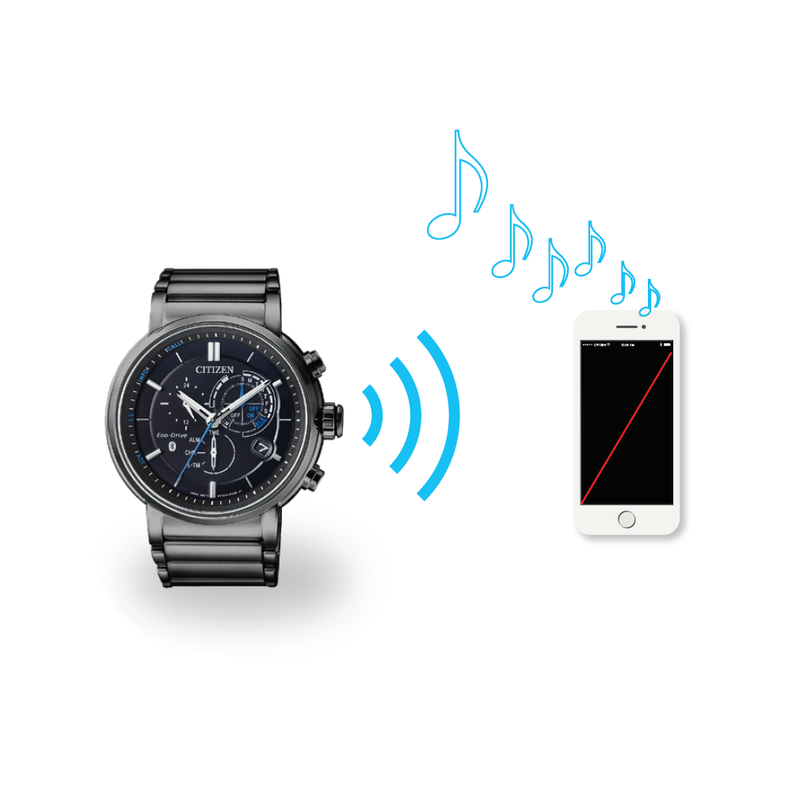 Use your watch to locate your phone by getting the phone to emit a sound to indicate its whereabouts. (Range limitations apply to this function.) When you’re about to forget your smartphone somewhere (in a café, for instance), the watch will warn you by emitting a sound, vibrating or rotating the hands to let you know when the link between your watch and the smartphone is broken. Light Level Indicator See how much light—and power—your dial is getting. 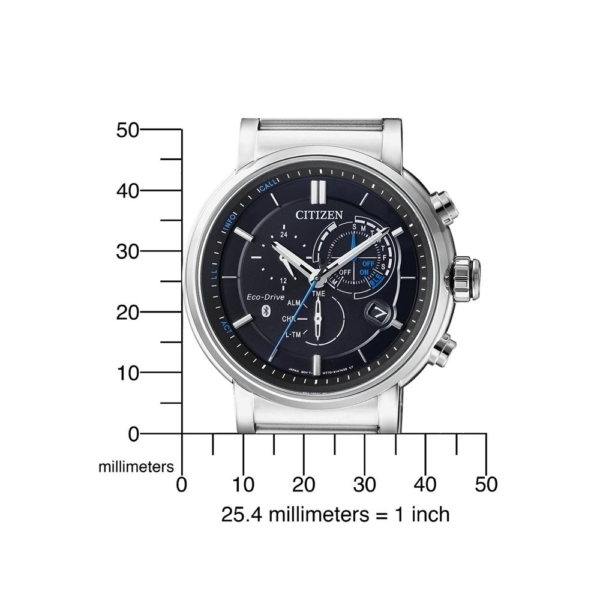 See how much power your watch is generating by checking how much light it is exposed to on a daily, weekly or monthly basis. 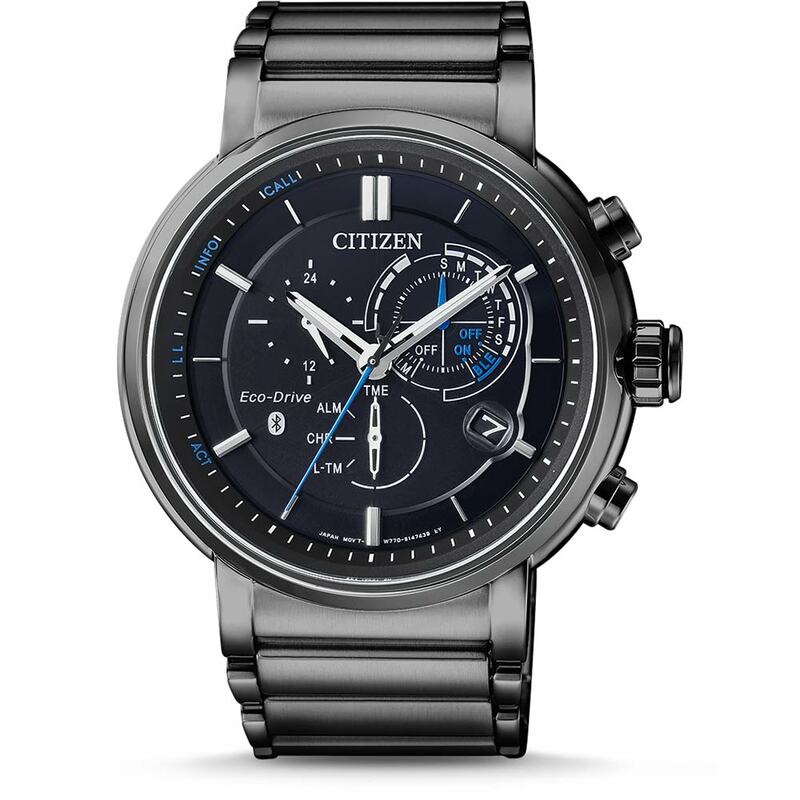 CITIZEN is a pioneer in light-powered technology and this unique function reflects our special relationship with light.